Matt Damon is by many viewed as one of the sexiest men alive, but he will still adjust his body to fit any part he plays in a movie. In the Bourne trilogy he was athletic and buffed, in the upcoming movie “The Informant!” – he is downright fat. According to Damon he gained 30 pounds (13.6 kg) to play the role of the company vice president turned whistleblower, Marc Whitacre. Well, many of us do exactly that, but more for pleasure than high profile roles in movies, and many of us have problems getting back too.. 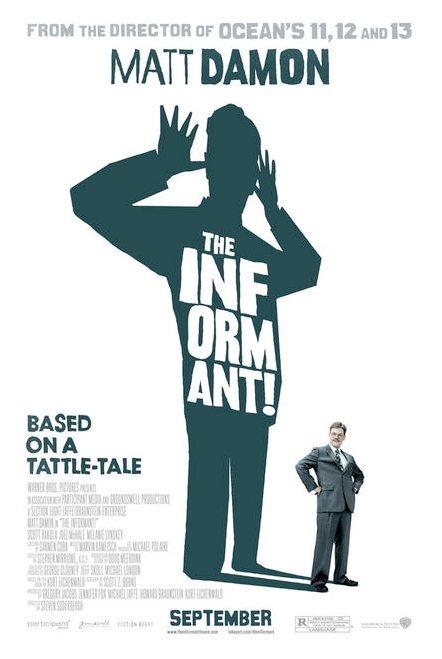 Anyway, have a look at the trailer for the movie “The Informant!” – I am looking forward to it this September. I just love when actors and actresses take responsibility, come out of their bubble world and actually give something back to the community. Below is a public service announcement from Megan Fox about being yourself. I guess we can all agree that being in touch with yourself and letting everybody else see who you really are, is important. I salute Megan for daring to be different and speaking about it, not everybody would be this brave.